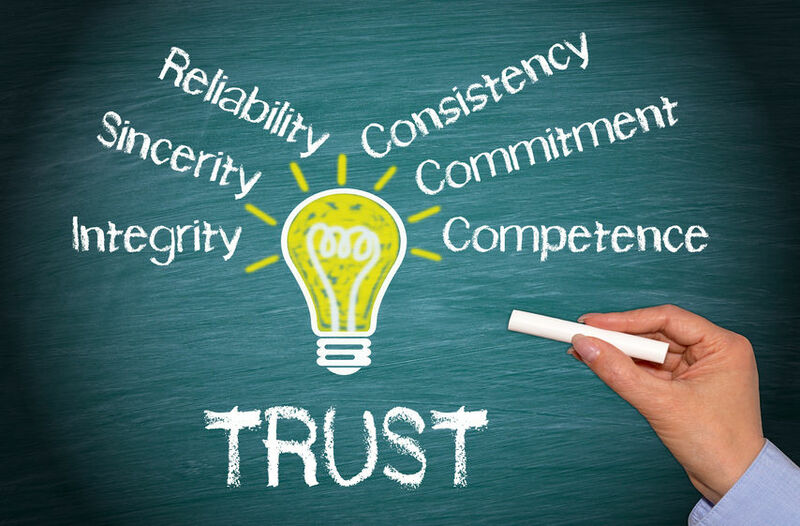 Among the most frequent words I use in beginning to work with a patient are safety and trust. I often say that one of the most important things someone must feel when they come into my office is safe. I talk about the importance of trust later because I believe that trust develops over time and is not instantaneous. Until a patient feels safe and comfortable in revealing oneself, it’s difficult to develop trust. Iyanla Vanzant in a recently published book entitled Trust, posits four essential trusts, which she orders in importance. These are trust in self, trust in God, trust in others, and trust in life. They are, of course, interconnected and trying to address all of them cannot be done in 700 words. The two I consider important in counseling are trust in self and trust in others. Many people come to counseling having lost the ability to trust anyone. They have often had a childhood in which trust in self is constantly undermined by criticism, broken promises, betrayal, and emotional abandonment. We develop doubts about who we are and allow others to define us. If trust was damaged by those who were supposed to love us as children, it becomes more difficult to trust people outside the family. If trust is further damaged by an unfortunate choice in relationships, it becomes much easier to draw inward and even more difficult to invest trust in others. Trust is not an either/or decision. It exists along a continuum from total trust to complete lack of trust, with various degrees in between. The task is to figure out who to trust with what. Trust is not easy. It is a choice and there are challenges that come with trust. We cannot trust someone that we don’t know and really knowing someone takes time and effort. Even trust in God comes from knowing Him. There are no risk free relationships. Other people in our lives will make mistakes in relationships that hurt or disappoint. It is important to be able to differentiate between someone who has made a mistake and someone who repeatedly fails or disappoints us. This is the point at which being able to forgive is important. This comes only with experience in life. It sometimes requires that we allow ourselves to be vulnerable and risk being hurt with the knowledge that we can recover from being hurt. We may have to learn to forgive ourselves for past mistakes. We must trust ourselves to be able to get through the pain of disappointment and betrayal when others violate our trust. We can never know for sure what someone will or will not do after we invest trust in them. As Frank Crane wrote, “You may be deceived if you trust too much, but you will live in torment unless you trust enough.” What we need to avoid is misplaced trust. Read 604 times	| Like this? Tweet it to your followers!